Using the mouse that comes with your computer is a lot like using the little white earbuds that come with your iPod -- it gets the job done, but you can do a lot better. Since the mouse is generally the most oft-used computer peripheral, it's wise to spend some time researching what you need. Whether or not you should get a wireless mouse is really a personal preference. With a wireless mouse, you won't run the risk of getting tangled in your cord, but you do run the risk of running out of batteries at an inopportune time. Some wireless mice come with charging docks so you don't have worry about buying those AAA, although you do still need to remember to put the mouse in the dock or station. Other mice may come with an on/off switch to preserve power; as with the docking station, this is only useful if you remember to switch it off when you're done using it. When it comes to those wireless receivers, some come with nano receivers that sit flush with the USB port. Others come with larger wireless receivers that jut out a few inches from the port. As you can guess, you typically pay a higher price for the nano receiver, but it might be your best buy if you're a frequent traveler.With a wired mouse, you won't have to worry about batteries or receivers because it will draw power from your USB (or PS2) port. The downside of that, however, is that you're quite literally tethered to your computer. You can only move as far away as the cord is long. Mice operate by tracking in "dots per inch" (or dpi). An optical mouse can track between 400 and 800 dpi, while a laser mouse can generally track more than 2,000 dpi. Don't let the higher dpi numbers fool you, however. Your everyday mouser typically won't require such precise tracking and will get by just fine with an optical mouse. (Some even find the extra preciseness annoying.) Gamers and graphic designers, however, often welcome the additional sensitivity. Perhaps the most crucial aspect of any computer peripheral is its ease of use, and when it comes to mice, comfort is king. Ergonomics in mice are important because they can help prevent repetitive stress injuries. However, ergonomics is not a one-size-fits-all feature, and just because a manufacturer claims its device is ergonomic doesn't make it so. Unfortunately, the only way to know whether a mouse is comfortable is to use it for an extended period of time, and most mice in the store are boxed up pretty tightly. As with all computer peripherals, research your device before purchasing it. If the mouse won't be used for extended periods of time, you can let aesthetics weigh more heavily in your decision if you'd like. Graphic designers, PC gamers, and other long-term users, however, should stick with what's comfortable, not what's pretty. This category is exactly what it sounds like. Although there is no universal sizing among manufacturers, many mice come in two different sizes: full or travel. 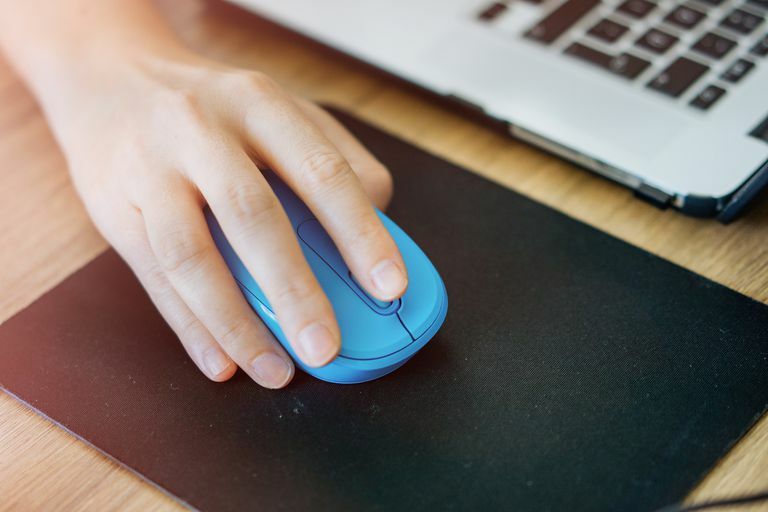 Even if you never plan to remove your mouse from its home, travel mice can often be more comfortable for people with smaller hands. Likewise, a road warrior may want to stick with a full-sized device because ill-fitting mice can cause discomfort. Everyone knows about the left- and right-click buttons, as well as the scroll wheel in the middle. But many mice also come with additional buttons that are typically located on the side of the device. These can be programmed for specific functions, such as the "Back" button on your Internet browser. If you consistently work in the same programs, these can be extremely useful, and they're typically easy to set up.